Inventory We are a resale marketplace, not a box office or venue. Ticket prices may exceed face value. This site is not owned by Bell Centre . The Bell Centre has hosted some of the greatest concerts that have toured Canada. The Bell Centre Montreal has a great advantage for keeping hockey fans warn at night with the ever popular Montreal Canadiens. The Canadiens are one of the best all time franchises in the NHL and a constant contender for Lord Stanley's Cup. 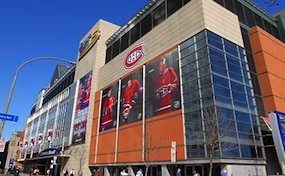 While box office will focus on concerts, other non-musical events will be hosted at the Bell Center, such as one-off sporting events such as UFC fights and rodeo events, non-profit and charitable events, family entertainment shows, and events hosted by the city and people of Montreal, Quebec. CentreMontrealca.com is not a primary vendor, supplier, or affiliated with any official website. We proudly provide access to a tremendous selection online for all secondary market events. Ticket prices may be well below or above face value and will fluctuate with the market. To purchase tickets for all Bell Centre Montreal Events simply click on the show of interest or call our operators at anytime.